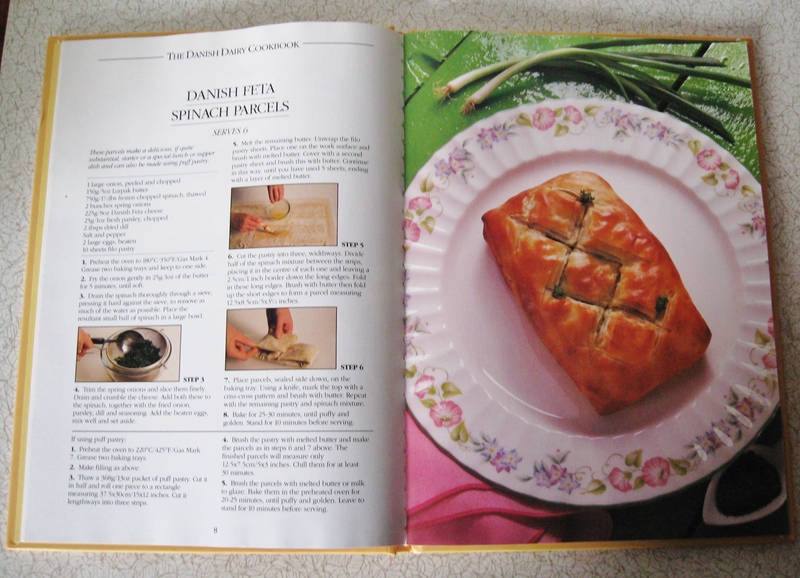 This charming item was a gift from someone who knows my favourite kind of vintage cookbook are those which contain both horrors for me to laugh at and things that might be OK to actually try and cook. 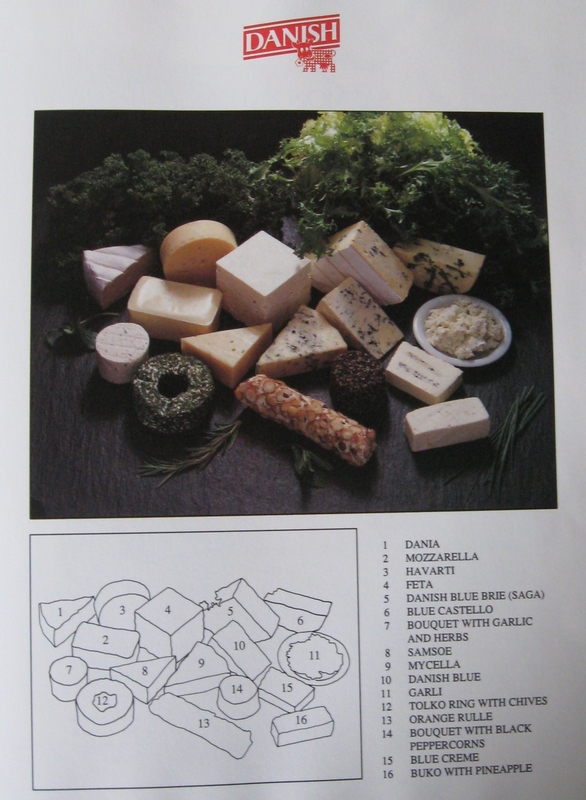 I’m not an expert in Danish dairy, but luckily that canyon has been bridged, by this handy-dandy guide to the cheeses of Denmark. What more could a girl want? So what to choose? When I realised ingredient list was basically a salad held together with dough (Walnuts! Blue cheese! Celery! ), I knew I had to try it. As I didn’t have any self-raising flour at home, I used plain and added some extra baking powder, but then fretted that I hadn’t added quite enough, also the dough felt rather heavy. 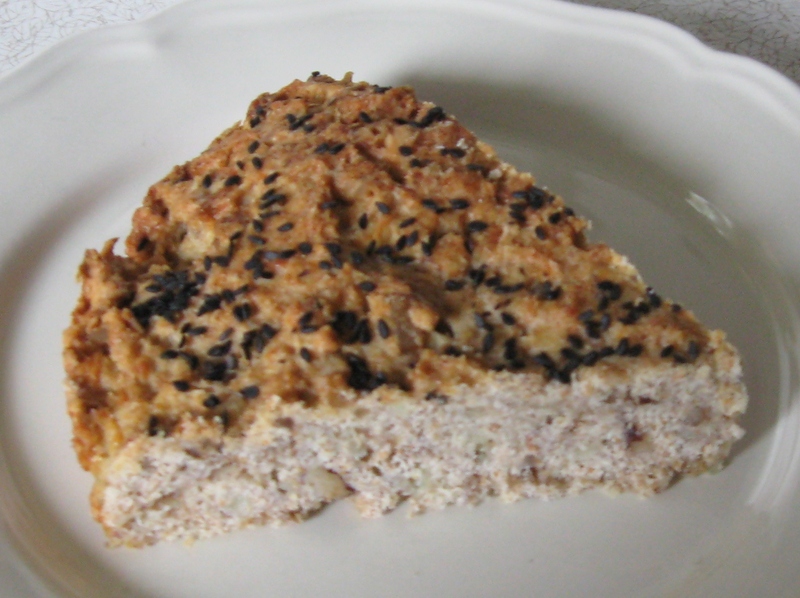 I decided not to risk creating a flour-fat-seed brick and formed it into a round, flat loaf on a baking tray. I also forgot about the celery – probably for the best. 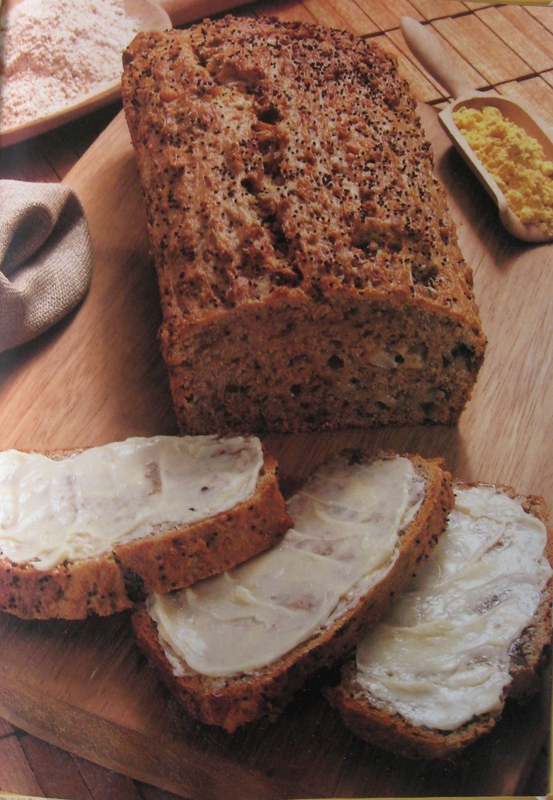 I enjoyed the amount of bits in this loaf greatly and would consider the proportions suitable for experimenting with any type of nut and crumble-able cheese. The black sesame seeds were overkill however, rendering the whole thing a bit fibrous and worthy. 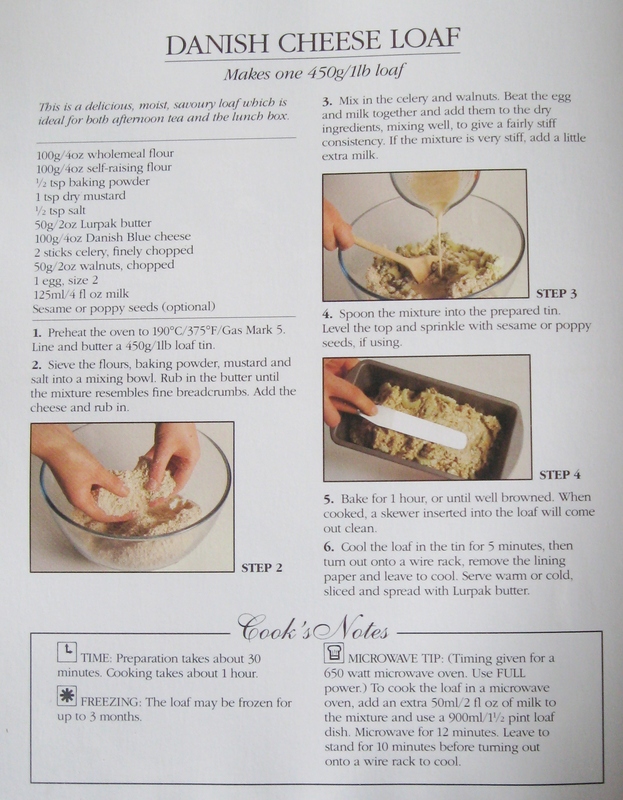 If, like me, you have a mild fear of yeast, this is a fine recipe to keep in your arsenal. 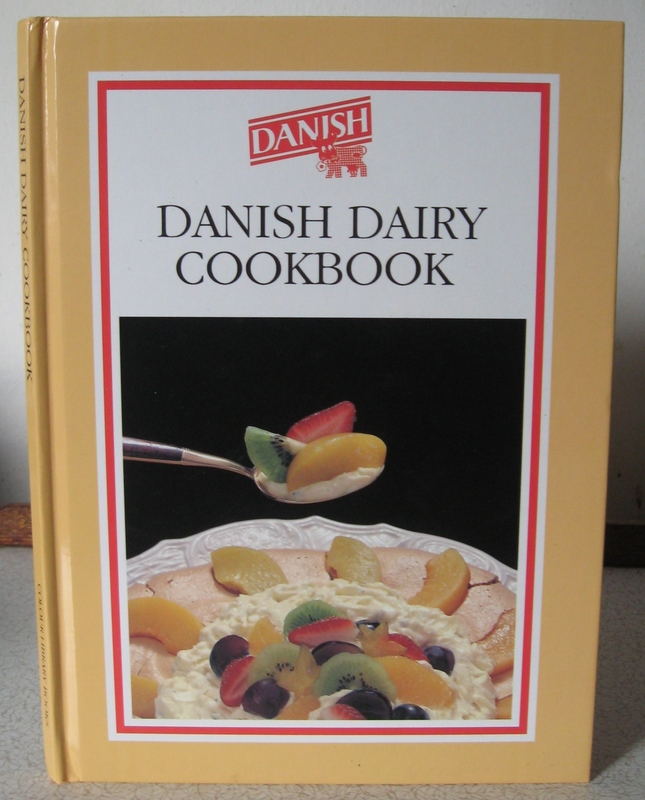 This entry was posted in 1980s, The Danish Dairy Cookbook and tagged baking powder, Danish Blue Cheese, self-raising flour, sesame seeds, wholemeal flour. Bookmark the permalink. 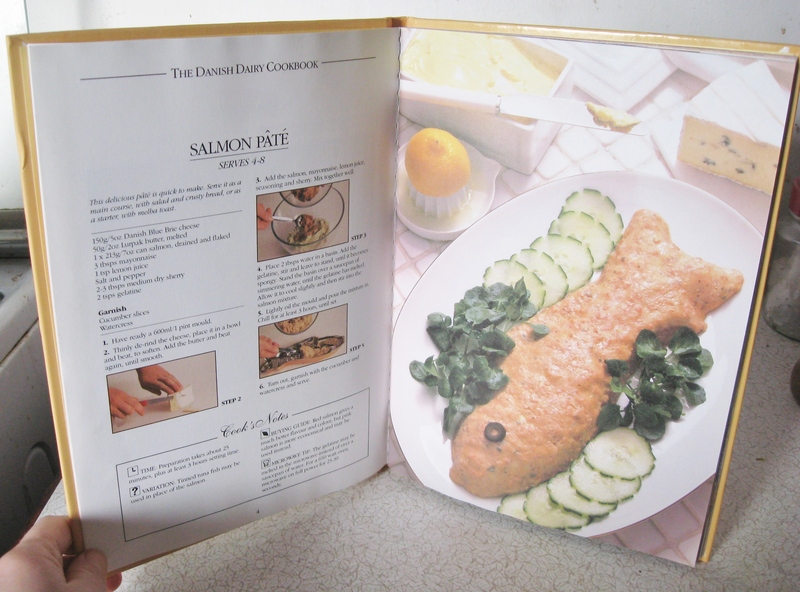 I have a feeling that I used to own that book as I can recall making the Salmon Mousse, albeit without the gelatine and sherry. I didn’t mould it into a fish shape either but it was tasty. Yours looks nicer than the one illustrated which appears to contain black treacle, it’s so dark. Good accompaniment to a bowl of veggie soup, I imagine. Funny how, despite the health benefits [and especially since the glycaemic index thing touted since], you don’t see such use of wholemeal flour any more. Actually, no – not funny at all because other than for bread [and even then, it really needs to be part of a mixed-grain job], the stuff is an abomination. Anyway I’m thinking about making this [I love this sort of grub, me] but with all bread flour instead of the half n half white and wholemeal. Will let you know how I get on.